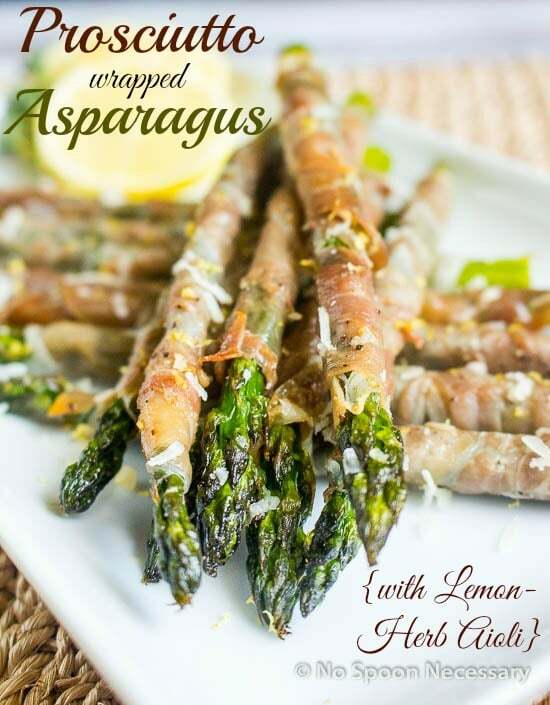 Roasted tender-crisp asparagus wrapped with salty prosciutto served with a creamy lemon-herb aioli. 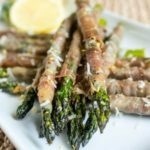 This Prosciutto Wrapped Asparagus makes a delicious side or it is perfect as a snack or appetizer! 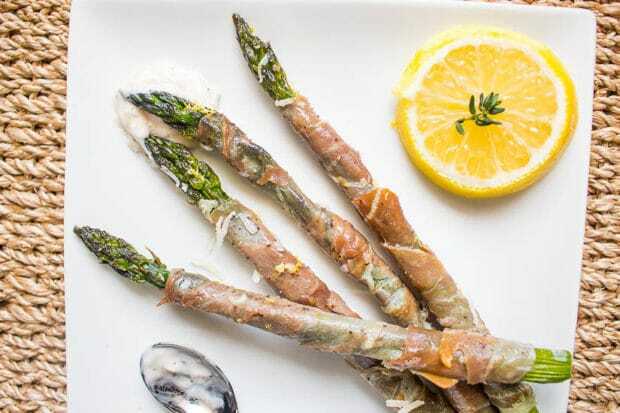 I am going to continue the appetizer portion of this NSN Thanksgiving Series with these – Roasted Prosciutto Wrapped Asparagus Spears with Lemon-Herb Aioli Dipping Sauce. (Try to say that five times fast.) These could be my new favorite party starter. 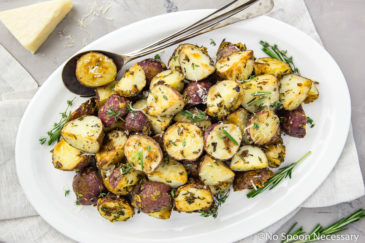 Not only are they delicious, they are proof that sometimes the simplest recipes are the best ones by allowing each ingredient to shine and complement each other. As opposed to overwhelming your taste buds, with a laundry list of ingredients that will compete, in the flavor department, for your attention. For this little series of mine, dedicated to Turkey Day, I am trying to provide you all with simple to prepare, yet elegant and delicious, recipes. 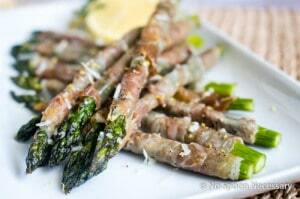 These, roasted and wrapped, asparagus spears fit perfectly with that theme. Legitimately, they took me about 20 minutes to prepare. However, they ONLY took me that long because I was being meticulous (my O.C.D took over), since I was using them for photos to post on this beloved blog of mine. Without a camera and food blog getting in your way, they should will take you about 7-10 minutes to prep, depending on how quickly you move in the kitchen. And if you have, or have not yet, had your first cup of coffee or energy drink. After prepping, all these green stalky beauties require is a quick roast in the oven. Easy –peasy-lemon-squeezy. Right? Oh… and the dipping sauce… I mustn’t forget the creamy herb-a-licious, lemony aioli! How dare I??? No, no, no! It is simply divine! The aioli must be included alongside these prosciutto wrapped spears! Non-negotiable people! 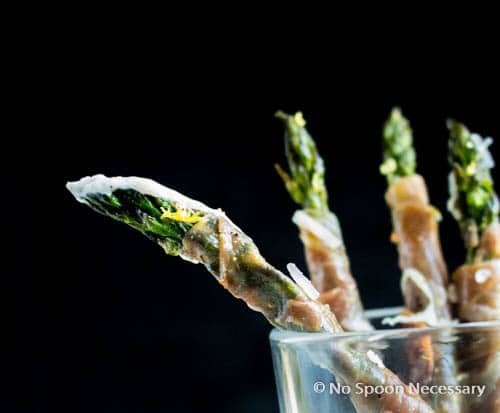 Do yourself, your wallet, your stress level and your guest’s tummies a favor by adding these easy, elegant, scrumptious roasted prosciutto wrapped asparagus spears (with the aioli!) to your Thanksgiving menu. Cheers! 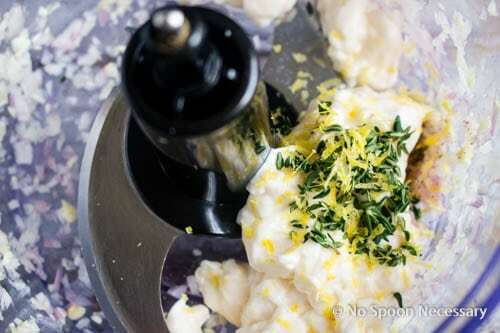 To Prepare the Lemon-Herb Aioli: Place Garlic and Shallot in the bowl of a food processor. Pulse a few times until roughly minced. 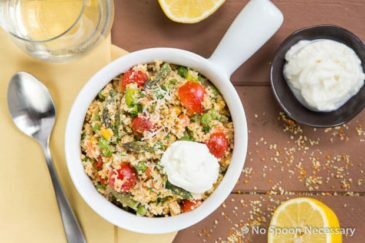 Add remaining ingredients and process until well combined and of desired consistency, stopping occasionally to scrape down the sides of the bowl. Cover, and place in the refrigerator for at least 30 minutes to allow flavors to marry. If you do not have a food processor, mince the garlic, shallot and thyme by hand. Place all ingredients in a small bowl and mix until well combined. To Prepare Asparagus Spears: On a large baking sheet toss asparagus with olive oil and season generously with salt and pepper. Wrap each asparagus spear in a slice of prosciutto, starting just under tip of asparagus and using a downward spiral motion. Place asparagus on prepared baking sheet, evenly spacing them apart and making sure they are NOT TOUCHING (you do not want them to steam). Roast asparagus, for 6 minutes, turning asparagus over and rotating pan halfway through cook time. Remove from oven. Adjust oven rack to the top 1/3rd position. Change oven temperature to Broil. Broil asparagus for 2 minutes, turn asparagus over, and continue to broil an additional 2 minutes. 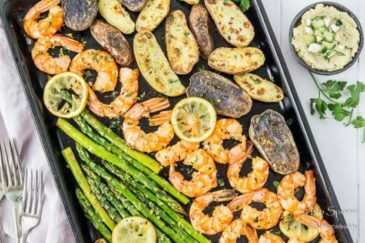 Remove asparagus from oven and transfer to a serving platter. Sprinkle evenly with parmesan cheese. Serve with dipping sauce on the side. *Look for asparagus spears in similar medium thickness for even cooking. Try to avoid spears that are pencil thin or very thick. 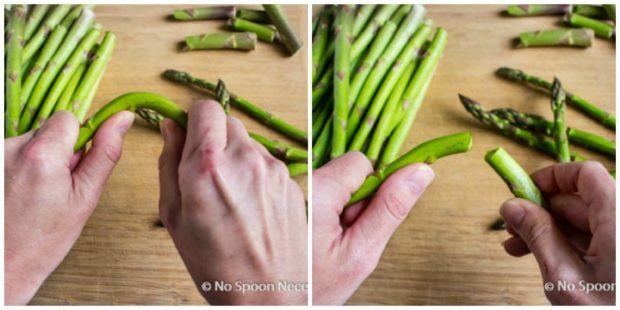 *If the ends of the asparagus spears leave a jagged edge when you snap them off, simply use a knife to even it off. These look delicious! I was never an asparagus fan, up until a couple years ago. I would eat all thesse up! Pretty pictures! Thank you Vanessa! 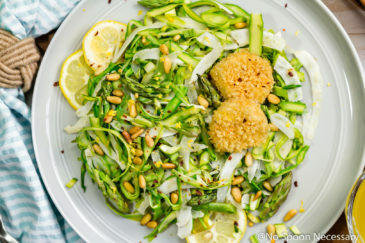 I wasn’t a fan of asparagus until a few years ago, either! These spears are really good. But then again, they are wrapped in Prosciutto. lol Can’t really go wrong with that! The dipping sauce with them though, really makes it yummy! Thank you so much for stopping by my blog. I LOVE your blog, so I’m honored you visited my humble little site! Cheers! Asparagus my all time favorite veggie. And this recipe kids flavored up a notch. Yummy!! !